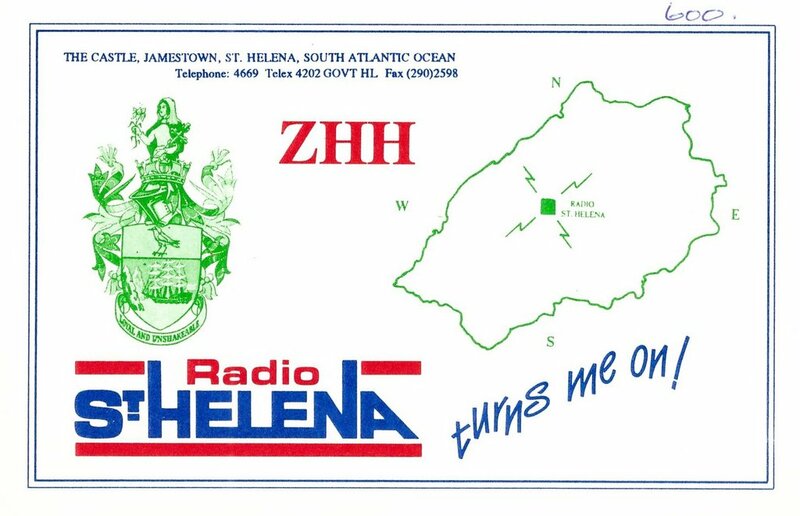 The idea to put St. Helena on the shortwave map came up in conjunction with the preparations for the Nordic Championships in DX-ing in 1990 arranged by Stora Tuna DX-klubb. 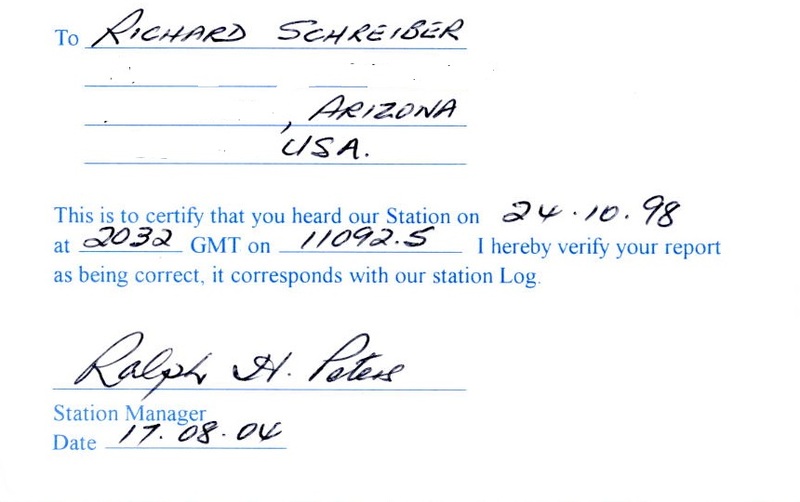 The two Swedish dx-ers Jan Tunér and John Ekwall wanted to add a special station into the competition. John was also the person behind the shortwave transmission from Radio Syd in Gambia in 1984. The first shortwave transmission from St. Helena took place in the evening of 1990-10-06. I participated myself in the competition, but I did not manage to hear the station at that time. 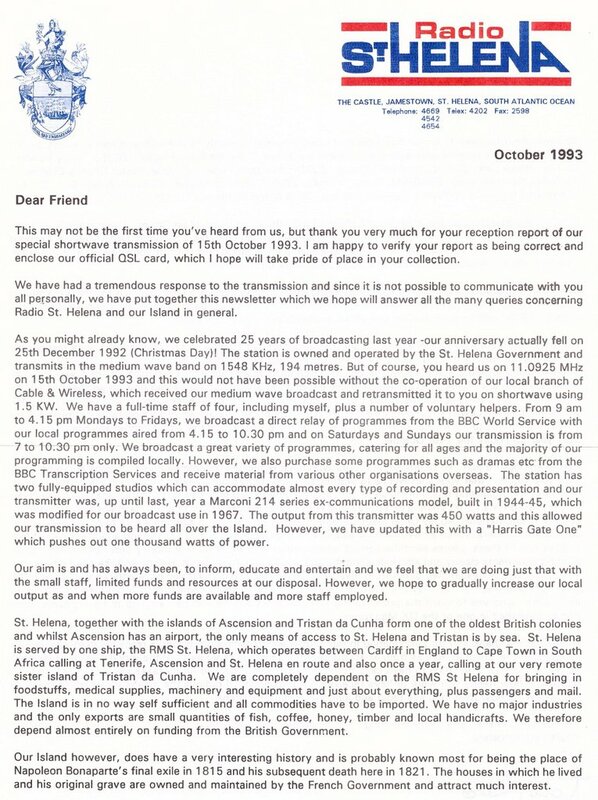 The response for the Radio St Helena was so good that they decided to continue once a year with what was known as Radio St. Helena Day. 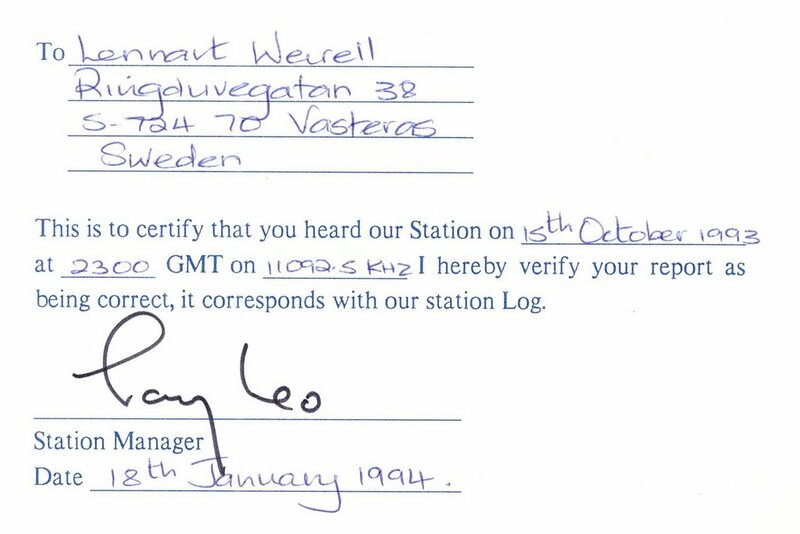 In 1993 I managed to hear the station and I got it verified. 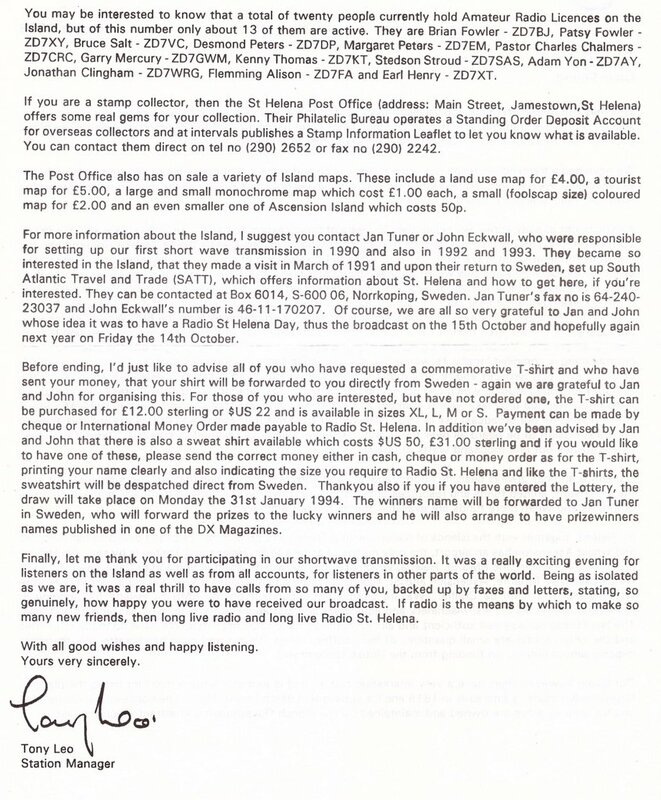 Lennart also included scans of Radio St. Helena’s 1993 newsletter (click on each page to enlarge). Thank you for sharing this with us, Lennart. Honestly, much of these hidden, fascinating bits of radio history would be lost and forgotten if it weren’t for folks like you and our other contributors who share them with the world! This entry was posted in News, Radio History, Shortwave Radio and tagged Lennart Weirell, Radio St. Helena, Radio St. Helena 1993, Radio St. Helena Day, Radio St. Helena History on January 10, 2017 by Thomas. 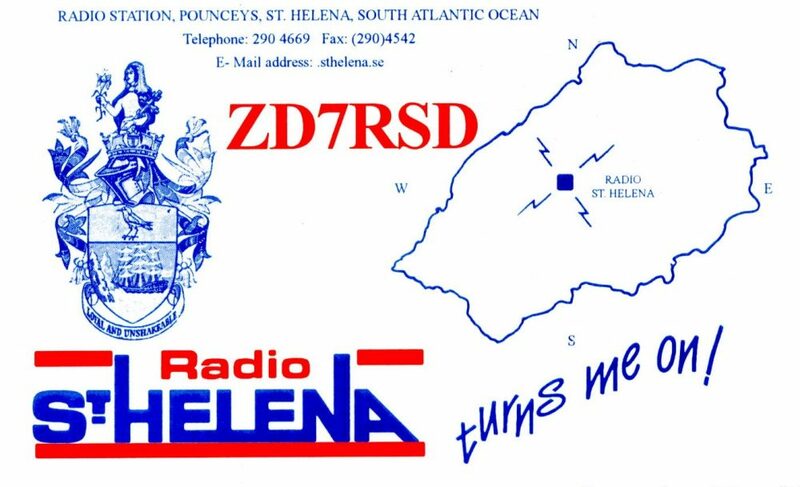 Here [above] is the QSL card I received in 2004 for the 1998 St Helena Day shortwave broadcast. There were, I recall, some staff changes and other issues that delayed many reports from being verified, but resubmitted everything in 2004 and they promptly verified. For the 1998 broadcast I actually phoned the station in St Helena and was put on the air, but unfortunately didn’t record the broadcast. This is one of my most prized QSLs. Thank you, Richard. It would be one of my most prized QSLs as well! What a great memory–thank you for sharing! This entry was posted in News, Nostalgia, QSL Gallery, Shortwave Radio and tagged Radio St. Helena, Radio St. Helena 1998, Radio St. Helena Day, Radio St. Helena QSL, Richard Schreiber (KE7KRF) on January 8, 2017 by Thomas. 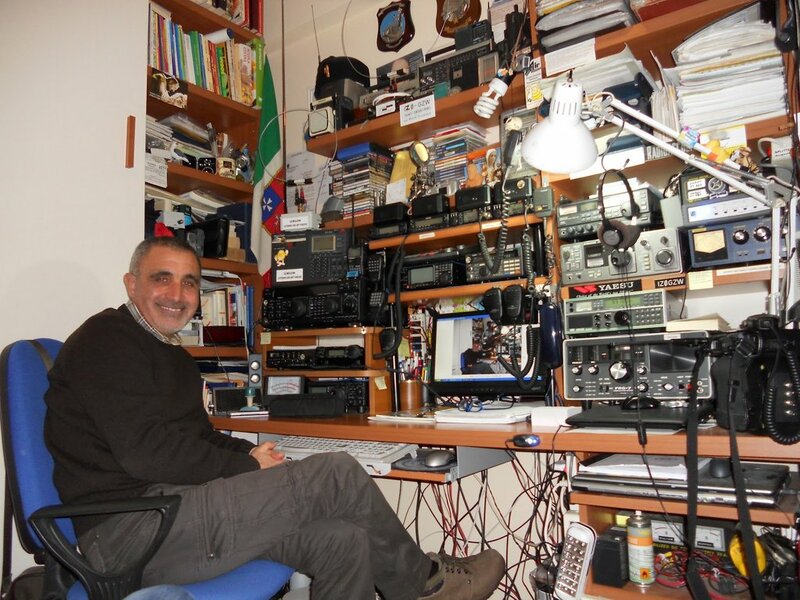 The current listening post and ham radio shack of Giuseppe Morlè (IZ0GZW) from Ponza Island, Italy. Thank you again, Giuseppe, for sharing these recordings following my recent post about St. Helena island! This entry was posted in News, Nostalgia, Recordings, Shortwave Radio and tagged Giuseppe Morlè (IZ0GZW), Radio St. Helena, Radio St. Helena 2006, Radio St. Helena 2009, Radio St. Helena Day, Recordings on January 8, 2017 by Thomas. 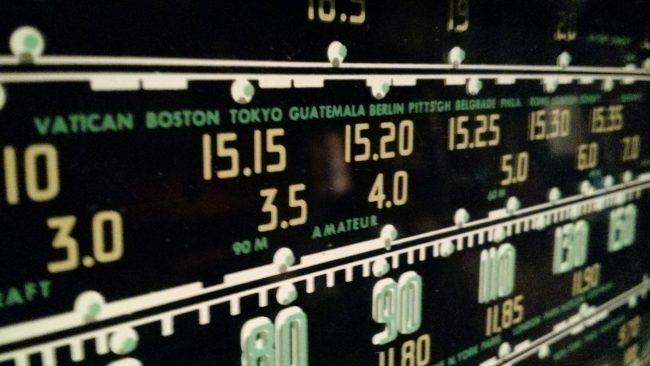 If you’ve been a shortwave listener for very long, you may remember the annual Radio St. Helena Day: one weekend a year when this small island broadcaster hit the shortwaves and accepted reports from across the globe. I never had the fortune of receiving their modest signal, but I surely tried! For more than 500 years, the only way to reach the British Overseas Territory of Saint Helena was by sea. Travelling to the South Atlantic island by sailboat, after a nine-day voyage from Namibia, my family and I made landfall the way every person before us has: the way Napoleon Bonaparte did when he was sent into exile in 1815; the way modern-day Saints (as the local population is known) do when they venture home from work in the UK; and the way the occasional, intrepid visitor has always done. But we were one of the last travellers to do so. In April, the first commercial plane landed at the island’s new airport, and the last working Royal Mail Ship, the St Helena, was slated for decommissioning. A dwindling population and defiant island geology – which, as Charles Darwin put it, “rises abruptly like a huge black castle from the ocean” – were long-time barriers to the development of an airport. But fears that the island could become nothing more than a remote old age home as younger Saints look elsewhere for employment finally forced the issue. Planned weekly flights will replace the monthly ship visits, and tourism is projected to take off. Now, for the first time, visitors won’t risk being doused in the Atlantic swell when they reach for the ropes at the sea-washed Jamestown landing, trying to time their first step onto solid ground. Due to the short runway and the long distance to South Africa, a Boeing 737-700 flying to Johannesburg is not able to use its full seat and cargo capacity. Only flights to and from Namibian and Angolan destinations would allow using a Boeing 737-700 near its full load capacity. The other planned destination, London, requires a fuel stop in Gambia, at almost the same distance as Johannesburg. If Wideawake Airfield on Ascension Island were open for commercial non-military flights, it could be listed as an alternate aerodrome; this would mean that the load capacity of an inbound Boeing 737-700 could be increased as fewer fuel reserves would be required. The distance from key destinations, the length of runway available, and the type of aircraft available in the region dictate that air services to St Helena must operate to the requirements of extended twin engine operations (ETOPS) which implies the provision of an instrument approach system based on an off-set instrument landing system localiser (ILS LLZ). Such is also required by the terrain of the airport which, in commercial passenger air transport terms, is safety-critical due to its steep approaches, high elevation (1,000 ft or 300 m above sea level) and rocky outcrops. Without an instrument approach the provision of a viable air service is considered impossible. There are so many reasons air service will help this isolated community–especially for medical evacuations–but I suspect this will be a challenging airport for any pilot. 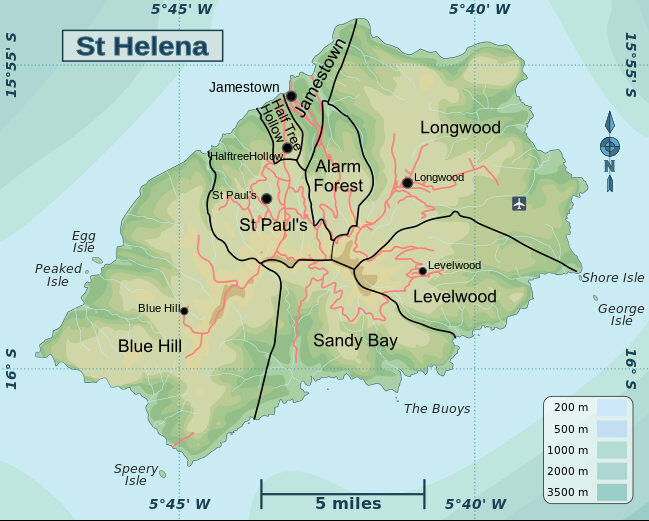 St. Helena is one of the most remotely inhabited island on earth–due to aircraft fuel limits and the inability to land at alternate locations, aircraft will be forced to land in occasional adverse weather conditions. While I’d love to to take a cruise to St. Helena, air service will likely make my future visit much more accessible! Post readers: Please comment if you’ve visited or live(d) on St. Helena! Please share your experiences! Has anyone had luck receiving Radio St. Helena Day broadcasts in the past? This entry was posted in News, Nostalgia, Slightly Off Topic, Travel and tagged Radio St. Helena, Radio St. Helena Day on January 5, 2017 by Thomas.